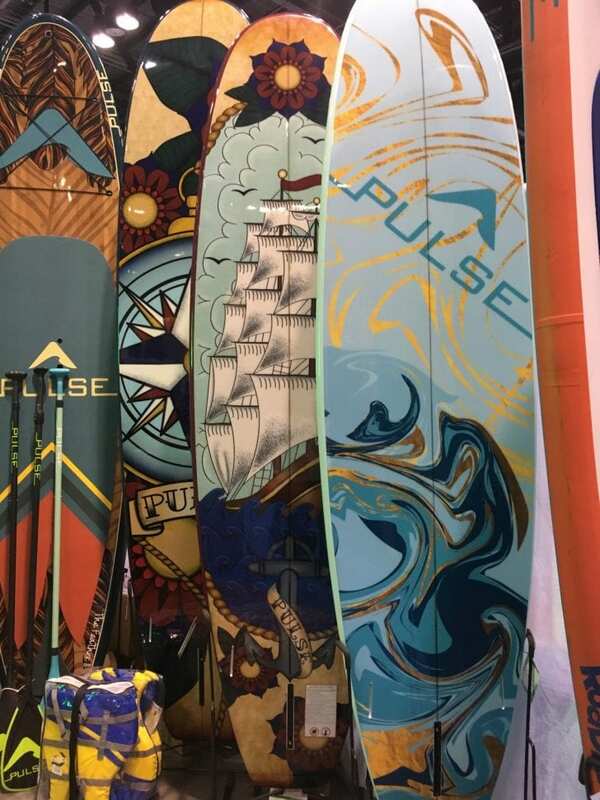 For those of you that do not already know there is a one stop shop for paddle boarders, surfers and surf shop owners just North of us at the Orlando Convention Center that happens in January and September each year. If you’re in the Biz then this is a must see event. So what is this Surf Expo about? For many people it is many different things. For shop owners it’s a great way to see the latest trends in nautical clothing, merchandise or get tips on business strategies. Surf Expo offers Professional Learning Labs for free to all attendees. For me it’s more about merchandise. They have everything from items you would see at a store for a tourist or for your local surf & skate shop. There are over a 1000 vendors including the big names like Hurley, Sperry and Yeti to the small guy trying to get his new line of merchandise in front of 1000’s of potential buyers. Now this isn’t a show that you stop in to go shopping for yourself, this is for buyers to fill up their stores for next season. Many vendors bring in their merchandise and just take orders. It’s not just for buyers and sellers, it’s also to acknowledge people in the industry that have paved the way for others. There is a movie lounge presented by Florida Surf Film Festival showing surf related films. You’ll get to speak with Pro Surfers, wake boarders and SUP racers on location. They even do what is called a “Shape Off” which is an annual contest and exhibition that takes place at show to promote the craft and craftsmen of the hand-made surfboard shaping. Six shapers from across the country compete to replicate an iconic board as a tribute to the honorary contribution to the art of surfboard shaping and the industry. This year it was in honor of Pat O’Hare. One of the newer products that was on the scene was Hydro-foiling. Hydro-foiling itself is nothing new but it is becoming a part of every water sport. From Surf/wake boards to small SUP, Hydro-foil is moving in the scene. There is even an indoor skate park for the you to try out skate boards. Overall it’s a must see event for all industry people. See you in September.